Here is the announcement from Hidden Creek GC about its sale. Here is the Bausch Collection photo gallery of Hidden Creek. 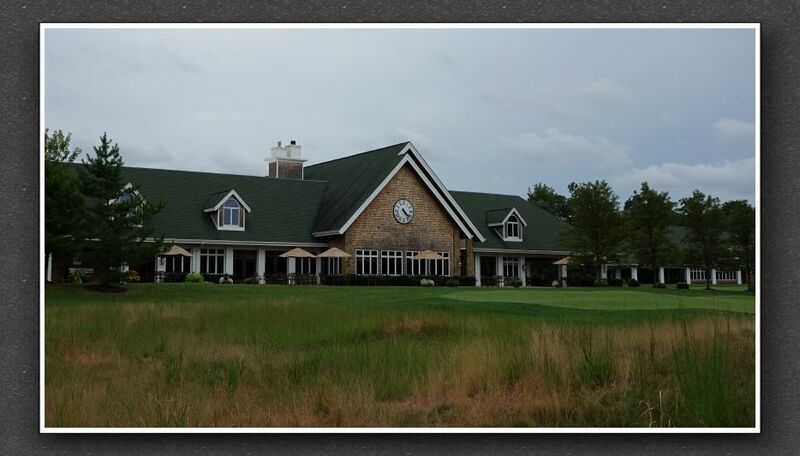 Egg Harbor Township, NJ--Ole Hansen and Sons Chairman and Hidden Creek Golf Club Owner Roger Hansen has announced the sale of the golf club to Dormie Network. The renowned Bill Coore/Ben Crenshaw designed course was recently named among "America’s 100 Best Modern Courses" by Golfweek Magazine for the 18th consecutive year and was home to the prestigious U.S. Senior Amateur Championship in 2015. The sale of Hidden Creek Golf Club to Dormie Network is expected to be completed in mid-January. "My wife Edwina and I felt that now is the best time to pass the ownership along to someone else, but only to a new owner who shares the same vision for the club that we have," said Hansen. "While it was a difficult decision, we feel confident that we are doing the right thing for the club, and leaving it in the hands of an ownership group that has a passion for the game of golf and will continue to build on the tradition of quality, service and camaraderie we have established at Hidden Creek." "We have long admired Hidden Creek Golf Club and are very excited about the pending purchase of the club," said Dormie Network President Zach Peed. "Hidden Creek is a world-class golf club in every way. Our vision is to bring Hidden Creek into the nation’s premier network of private destination golf clubs, further enhancing the member experience for all." Dormie Network provides full-service hospitality at world-renowned facilities featuring golf courses designed by the likes of Arnold Palmer, Tom Fazio, Coore & Crenshaw, and Lester George. The fast-growing network was founded in 2016, and currently includes five critically acclaimed clubs, each ranked among the best in its respective state. Those clubs include the network’s namesake, the Dormie Club, another Coore-Crenshaw design in Pinehurst, North Carolina. Also part of Dormie Network’s portfolio are Victoria National (a Tom Fazio design ranked among the world’s best) in Indiana; Ballyhack Golf Club in Virginia’s Blue Ridge Mountains; ArborLinks, an Arnold Palmer Signature design in Nebraska; and the acclaimed Briggs Ranch Golf Club in Texas. Dormie Network membership extends full member privileges and complete access to every club in the network—an arrangement that will include Hidden Creek once the sale of the club is finalized. "We couldn’t be more thrilled to be welcoming Hidden Creek and its members and staff to the Dormie Network family in January," said Zach Peed. "It’s an absolutely exceptional club and a perfect fit." A private club located in Egg Harbor Township, New Jersey, Hidden Creek opened in 2002 to widespread critical acclaim. The club ranked third among private golf clubs in the United States in Golf World’s inaugural "Reader’s Choice" Awards in 2008, behind only the fabled Augusta National and Pine Valley Golf Clubs. In 2003, just one year after its inception, Hidden Creek was ranked 72nd on GOLF Magazine’s list of "Top 100 Courses in the United States." Hidden Creek was selected by the United States Golf Association (USGA) to host the 2015 U.S. Senior Amateur Championship. The club was also selected by the USGA to host a U.S. Open qualifier in 2018 and was the site of several previous Open qualifiers, including U.S. Women’s Open qualifiers in 2004 and 2017, a U.S. Open qualifier in 2014, and a U.S. Senior Open qualifier in 2004. For more information, visit www.HiddenCreekClub.com. Dormie Network is a national network of private destination golf clubs that includes Victoria National Golf Club in Newburgh, Indiana; ArborLinks in Nebraska City, Nebraska; Dormie Club in Pinehurst, North Carolina; Ballyhack Golf Club in Roanoke, Virginia; and Briggs Ranch Golf Club in San Antonio, Texas. Each offers a pure golf experience in a relaxing and accommodating environment ideal for business or leisure. For more information, visit www.DormieNetwork.com and follow Dormie Network on Facebook (www.facebook.com/DormieNetwork).